One of the things that the holidays bring for many of us is the opportunity to travel with our children. Isn’t it such a wonderful “opportunity?” As a mother with very young children, traveling long distances with them isn’t the most fun thing I can imagine doing with them during this time of year. However, it’s precisely one of the things we are going to be doing this year. My husband and I decided to do something a little different this year. We decided to take our. family vacation right in the midst of the holidays. We normally go during the summer, but this year for some odd reason we thought it would be fun to go at the end of November/first of December. 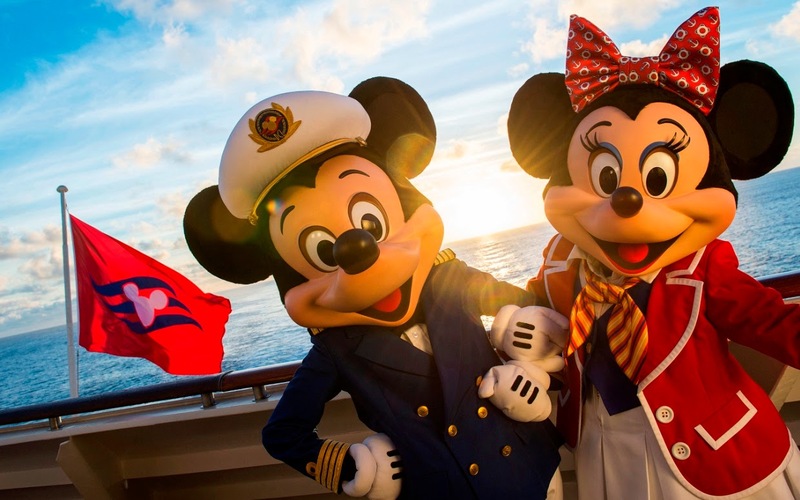 We elected to take the kiddos on a 7-night Disney cruise – a first for all of us! One of the delightful things about our family vacation is that my parents decided to join us, so it truly is a family vacation. While I am positive that everyone is going to have a splendid time once aboard the ship, I’m just a little nervous about the actual traveling part. The day that we fly out is going to be an all-day event as we leave at 10:05 in the morning, fly for 1.5 hours and then have a 1.5 hour layover, before flying for another 3 hours. I am not concerned about the 6 year old as I think he will have fun on this adventure, but I’m not so sure about the 1 year old – who will be flying on our laps. Now, I know I am not the only one with young children who will be traveling long distances with their kiddos for the holidays. Therefore, I thought it might be beneficial to share a few tips for traveling with children. Bring Engaging Activities – Take a little time to think about how boring long trips were for you when you were a child. I, myself, absolutely loathed them. So, don’t be surprised when your kids feel the same way. So, try to do what you can to prevent this by bringing activities along to help make the trip more enjoyable for the kiddos. While many kids have hand-held gaming devices that will literally keep them busy for hours, why not pack a few additional items just in case? For instance, coloring books, new books to encourage reading (especially if you have a child who is just learning how to read), mini/travel-sized games, and other similar items are great. Pack Snacks – Not only do I have a 6 year old accompanying us on this trip, but I’ve also got a 1 year old…who is pretty active. In order to help keep his little hands busy, I am packing plenty of snacks for him in my carry on. Of course, my 6 year old has his own snacks too. Find New Toys – A day or two before you leave make a trip to the Dollar Store or somewhere similar and buy several new toys that your children don’t have at home. It always makes long trips more interesting when they have new things to play with and hold their attention. For babies, look for things that you know will capture their attention. For example, my little guy has a fascination with Tupperware cups and their lids. I have no idea what that is about, but he loves flipping the lids over and stacking the bowls. Therefore, for this trip, I am buying a few new (small) pieces to help pass the time on the plane. Have a Plan – The trip before the trip is honestly what I have spent the majority of my time planning…and I honestly think that it’s necessary. As I previously mentioned, we have a layover in between flights. Therefore, I have a plan for exactly how that layover time is to be spent. I am not going to feed the kids a lot during the flight before the layover, that way they will be hungry when we arrive at the next airport. We will hustle to the next gate and snag lunch from somewhere nearby. That way once we arrive at the correct gate, we can pass a good chunk of the time eating while we wait for our next flight. Having a plan can and should make the day of travel go more smoothly for everyone. Have as Much Fun as Possible – As adults, we tend to take things just a little to seriously sometimes and can get stressed fast. This is especially true when traveling at the holidays with our children. However, our kids can sense when we are stressed and it passes on to them, which has a major effect on their day. Therefore, try to have fun during the trip and don’t get too stressed out along the way. So, there you have it…my list for easier traveling with the kids during the holidays. What are some of the tricks that you have found successful during your holiday travels with the kiddos? This entry was posted in Tips and tagged holiday misc, travel.